On August 31, POTUS signed an Executive Order to review policy for required minimum distributions (RMD) on retirement plans and improve retirement security for retirees. At the surface level this seems like a good idea. After all, anyone should be able to look forward to a secure retirement. And, perhaps we’ll find in the future that it was a good idea. In the past, it was possible to work in a company for 25 to 40 years and retire on pension, Social Security, and other investments (real estate, savings, etc.). But right now, social security and pension programs are walking on thin ice. So without stability in these programs, more people are expected to explore other options like IRAs, stock investing, and 401(k) with other investments to build their nest egg. That’s why the idea of personal retirement security is important. We all need a reliable source of income when we can no longer work enough hours to pay the bills. Over at MarketWatch, there’s support for the part of the Executive Order that aims to make it easier for small businesses to offer 401(k) retirement plans to employees. Under current law, holders of 401(k) and traditional Individual Retirement Accounts (IRAs) are required to withdraw a percentage of their account balances each year once they reach 70½. This requirement ensures that the money in these tax-favored saving accounts is used to provide income during retirement rather than to pass on wealth to heirs. The RMD is calculated so as to spread balances over the participants’ remaining lives. The penalty for failure to take an RMD is draconian: 50% of the amount that should have been withdrawn. MarketWatch suggests another solution, which is to keep life expectancy tables updated, exempt smaller account balances, and reduce the “draconian” penalty down to 10% in line with others. Who Can Benefit From This Executive Order? POTUS has given the Treasury six months to consider pushing the age you must take required minimum distributions from 70 ½ to 72. The reason given was to allow retirees more time to “spread retirement savings over a longer period of time”, according to Forbes. This is based on the idea that human life expectancy is longer. This is fine for wealthy people who could benefit from keeping their stocks in the market longer because they can take on more risk. Stated simply, changing the age requirements makes wealthy people and financial firms more money. So who really benefits from this Executive Order? … the danger is that rich people shift money in the IRAs and 401(k)s from money they save anyway, to avoid taxes. IRAs are tax shelter for the wealthy. 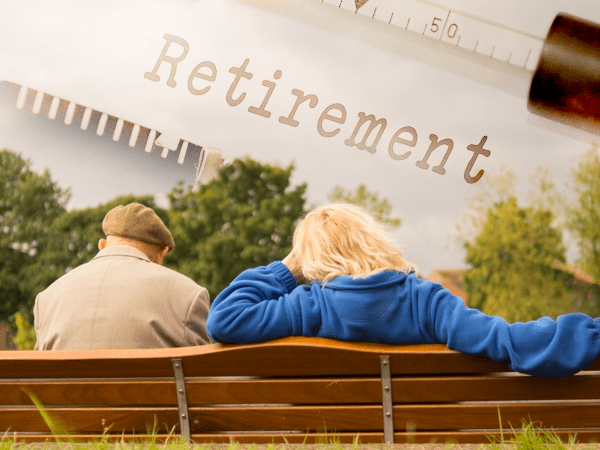 While some retirees might be able to delay withdrawals by 18 months, their quality of life could suffer if the market declined during that window of time. Something else to consider: What if the government is forced to raise taxes to compensate for lost revenue due to delayed withdrawals? For now, this remains unanswered. Even if the age for Required Minimum Distributions is raised, most investors would be wise to think twice before taking advantage of it. The wealthy may have the resources to deal with the potential losses caused by delayed distribution, but the average retiree often doesn’t. It sounds like simple advice, but some people still “roll the dice” and try to win big with their retirement savings. This is generally not the best idea. Diversification can reduce your exposure to losses that can happen with any type of investment. You’re also given the opportunity to put a portion of your savings into more stable assets instead of a volatile stock market. With diversification, if RMD requirements do get scary, you can have a solid foundation to take distributions from that includes different asset classes. And if Social Security and pensions do go under, you’ll want a diversified portfolio that you can have maximum control over, so you can replace your income. Don’t wait to start building more security into your retirement.